Remember to contribute every day. 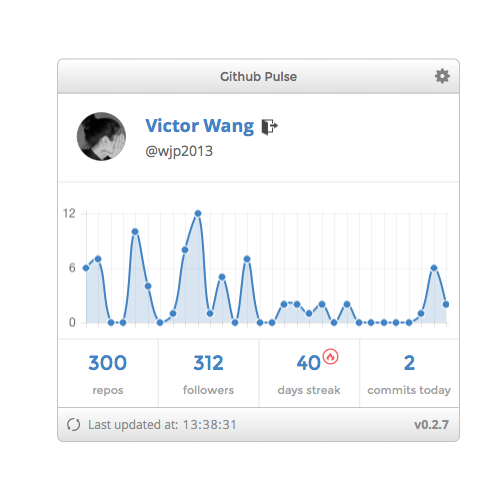 Github Pulse is an app to help you keep your streaks, contributing a commit every day. GithubPulse is an app that shows you a graph of your last month commits and how long is your current streak. Its icon also turns red if you haven't committed today yet, and by the end of the afternoon it'll remind you once, in case you still haven't committed. Just type in your username to login, fast and easy, no authentication required. Keep track your streak and don't let your graph go down. 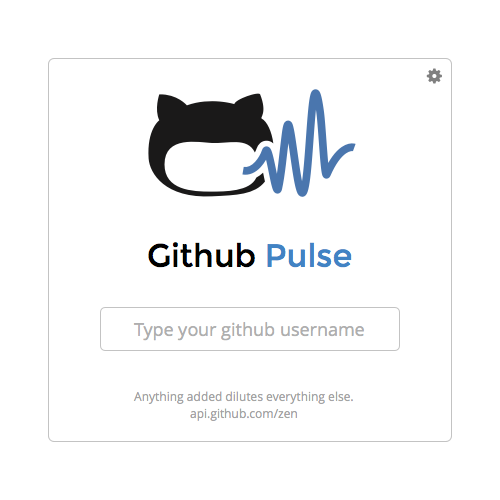 If you haven't contributed by the end of the day Github Pulse will remind you. Code licensed under MIT and documentation under CC license.